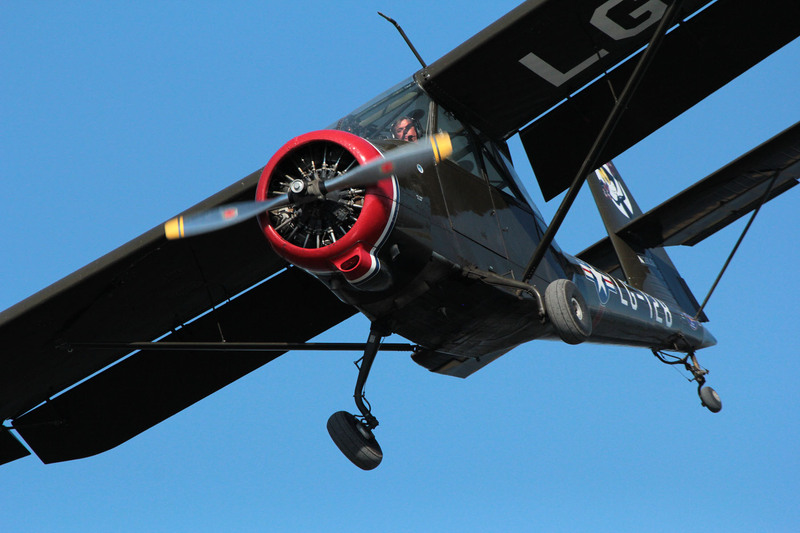 Chuck Miller pilots his Stinson L13 in a slow turn over Lake Hood to demonstrate the slow flight characteristics of this post WWII military aircraft. Chuck Miller owner of Chaz Ltd. in Alaska is the owner/operator of this aircraft and has used it to access hard to reach areas in Alaska due to its short field take off and landing and slow flight characteristics. Called the Grasshopper the L13 was designed by Stinson then a subsidiary of Consolidated Vultee but mass produced by Convair. This aircraft also participated in the Alaska Aviation Centennial Celebration that visited locations statewide in the summer of 2013.